I posted on this site a brief review of the history and positions of Lotta Continua. I then followed this up in Lotta Continua Part 2 by making available some articles written by or about Lotta Continua from the Big Flame Internal Bulletin. I now want to conclude this series (unless something more BF/LC related which I don’t know about turns up) with two items I have obtained since the last post. Another internal document and a pamphlet published by West London Big Flame. I previously published two sets of notes of conversations between BF and LC members from the BF Internal Bulletin. This discussion predates them. The discussions took place in January 1974 before Big Flame had an Internal Bulletin: Italy 1973. – Changes in its attitude towards factory delegates (equivalent to shop stewards in Britain). With the failure of autonomous assemblies LC members were standing for delegate positions, but not feeling obliged to follow the decisions of delegate committees. – Its attitude towards the Italian Communist Party (PCI). The LC members took from developments in Chile the importance of the space created by the Allende Government in supporting the formation of bodies like the cordones obreros. Their strategy was for working class pressure to force the PCI into some form of Popular Unity Government (this was despite the PCI having shifted its position in favour of the “historic compromise” of an alliance with forces to its right). – Its attitude towards women’s struggles. This was answered by a women LC comrade who was angry with LC’s lack of a perspective on women. She said it was up to women in LC to change this situation. Her remarks are interesting in the light of developments in Lotta Continua in the years which followed. Libcom has posted a pamphlet produced by West London Big Flame: Fighting for Feminism: The ‘Women Question’ in an Italian Revolutionary Group. The local group also produced another Lotta Continua related pamphlet. Lotta Continua only ever had two National Congresses. It fell apart after the second in 1976. What happened there is recorded in detail in Il 2. Congresso di Lotta Continua, Rimini, 31 ottobre- 4 novembre (Rome: Edizion Co-op Giornalisti LC, 1976). Extracts in English can be found in the Red Notes pamphlet Italy 1977-9: Living with an Earthquake pp 81-96. 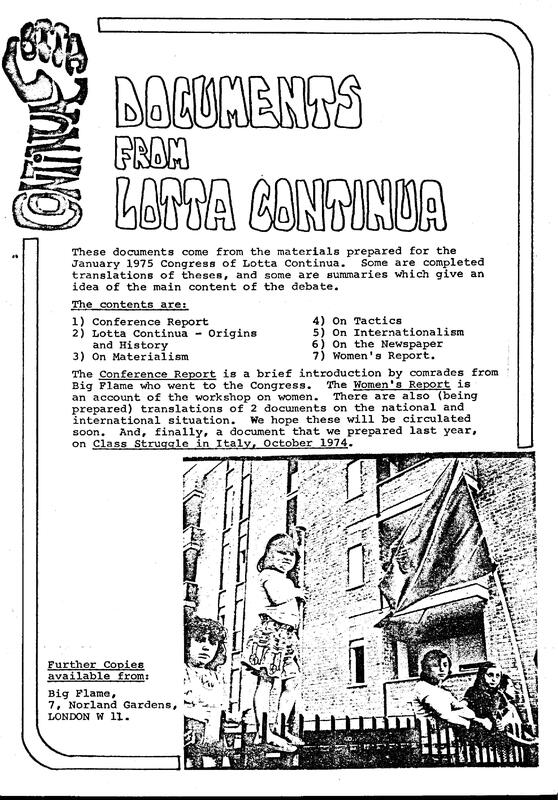 The West London BF pamphlet covers the earlier Congress which was held in 1975: Documents from Lotta Continua. – A brief summary of the Congress by BF. – Translations of some of the key Congress documents – on Materialism, on Tactics, on Internationalism and on the LC Newspaper. – Notes by a BF member on the Workshop on Women. This shows the diversity of opinions held by LC women members, some fairly critical of the organisation. 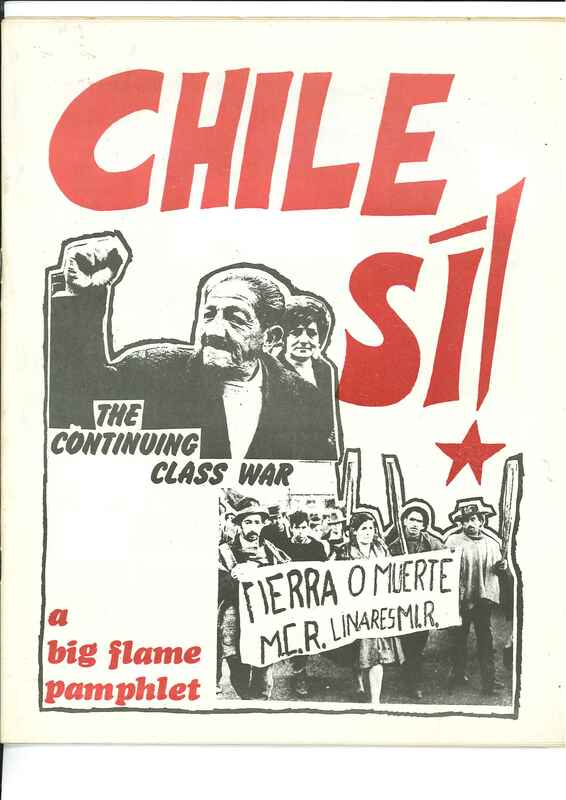 Episode 10 in the Big Flame History series mentioned a left group in Chile – the Movimiento de Izquierda Revolucionaria (Revolutionary Left Movement) [MIR]. This post gives some more information about the group. An argument can be made that in terms of left groups outside Britain, the MIR’s influence on the early Big Flame was second only to that of Lotta Continua. 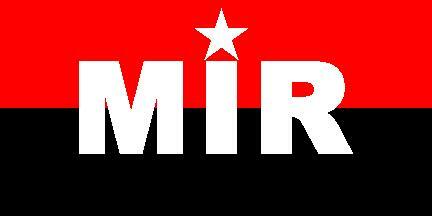 The MIR was founded in August 1965 as an attempt to bring together a variety of revolutionary left anti-electoral forces. It included people who came from the Socialist party, Communist Party, trotskyist and anarchist backgrounds. 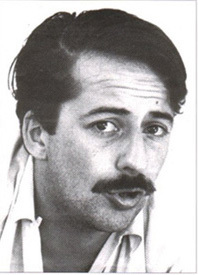 At a congress in 1967, the General Secretary elected in 1965, Enrique Sepulveda (a veteran Trotskyist), was replaced by Miguel Enriquez (then aged just 23). A group of Enriguez’s friends from university days such as Bautista Van Schouwen and Luciano Cruz (who died in an accident in August 1971) also assumed prominent positions. The personnel changes were accompanied by a clearer political definition of MIR’s positions, with a greater emphasis on armed struggle. Some forces such as the anarchists left. A Declaration of Principles gave MIR’s objective as being “the Marxist-Leninist vanguard of the working class and the oppressed and exploited masses of Chile”. It called for “an audacious revolutionary policy capable of opposing this cynical violence with a virile and proud response from the armed masses”. Many commentators have seen a clear connection between MIR and the ideas of the Cuban revolution. However, in a recent interview Andres Pascal Allende, General Secretary from 1974 to 1985, played this connection down. In the late 1960s the MIR conducted a series of “expropriations” – bank robberies, bombings, the kidnapping and public humiliation of a right wing journalist – which resulted in its leaders needing to go underground. In the run up to the September 1970 election, the Popular Unity candidate Salvador Allende met Miguel Enriguez. As a result MIR suspended its armed actions. After the election victory Allende pardoned or waived legal actions against Miristas. MIR remained outside Popular Unity and did not participate in the election. During the Popular Unity period the MIR sought every opportunity to push for popular power, encouraging land and factory occupations. It had a wider conception of the revolutionary movement than other groups, sending militants to work amongst the peasants, and with the unemployed and other marginalised sectors in the cities. MIR believed that an armed confrontation with the right was inevitable and the key task was to prepare for this. When the coup occurred in September 1973, the MIR for the most part did not confront the military directly but went underground. It had built up a network of safe houses and arms dumps, and adopting the slogan “The MIR does not exile itself” said it would take way MIR membership from anyone who left the country. The secret police DINA (Direccion Nacional de Inteligencia – National Intelligence Directorate) targetted its activities on MIR in the early years after the coup. Through the torture of those captured and a series of so-called “armed confrontations” DINA decimated the organisation. – In December 1973 Bautista Van Schouwen was arrested and “disappeared” (desaparecido). – In October 1974 the General Secretary Miguel Enriquez was shot dead. – In October 1975 some of the remaining MIR leaders were attacked in the village of Molloco, and either killed or, like the new General Secretary Andres Pascal Allende, forced into exile after seeking refuge in a foreign embassy. – In April 1976 Edguardo Enriquez (Miguel’s brother) who went abroad to gather international support was arrested by the Argentinian police and disappeared.After the end of the junta, the Rettig report found that 384 Miristas died or disappeared. That is 16.9% of the membership (a percentage not too different to that for the Communist Party or the Socialist Party). One surviving leading MIR member has estimated that 80% of the leadership cadres were casualties, and 10% of the membership. Starting in 1977 Miristas who had fled abroad and received military training started to return to Chile (Oparacion Retorno). A series of small scale attacks took place in both the countryside and the cities. However serious losses of life in 1981-83 (including the deaths of Arturo Villabella and Hugo Ratier) had a severe impact on MIR’s capacity. The last MIR armed action was around January 1988. In 1987 differences within the MIR came to the fore, and it split into three factions. These were exacerbated by Pinochet’s defeat in a plebiscite in October 1988 over another 8 years as President, and the formation of a centre-right opposition alliance which won the election in December 1989. Two of the factions MIR-Historico (led by Andres Pascal Allende) and MIR-Militar (led by Hernan Aguilo) retained a belief in armed struggle and a suspicion of electoral activity. The third MIR-Politico (led by Nelson Gutierrez) renounced the armed struggle and campaigned for a “No” vote in the plebiscite and joined the Communist Party and others in an electoral alliance (Izquierda Unida – United Left). MIR leaders sought to dissolve the organisation in the early 1990s and only the third variant survives today as a small organisation participating in another electoral alliance formed in 2003 with the Communist Party and others – Junto Podemos Mas por Chile (Together We Can Do More for Chile, Podemos is also an acronym for Poder Democratico Social – Social Democratic Power). I thought it might be helpful to list some of the sources I found on the internet whilst researching this article. They are all in Spanish unless otherwise stated. There are many documents both original ones from MIR and contemporary commentaries at Centro de Estudios Miguel Enriquez and Centro de Estudios Públicos (some of the same documents are on both sites). They include a couple of articles in English by Cristián Pérez: A History of the MIR and The Years of Shootings and Torture (1973-1975): The Last Days of Miguel Enriquez. ‘Declaración de Principios’ (Declaration of Principles) from 1974. ‘La matriz cultural mirista etc…’ (MIR’s cultural matrix…) gives a description of the different splits since 1986 as well as other groups who claim to have been influenced by them. 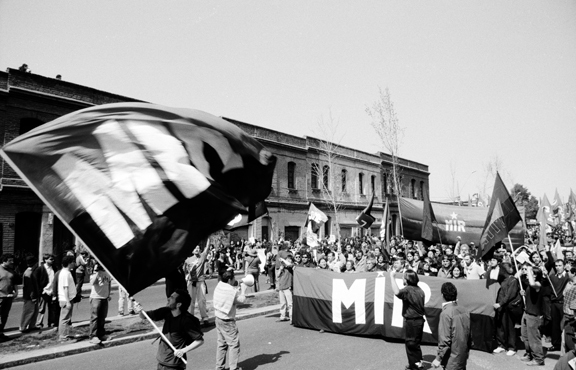 ‘Porque seguimos siendo MIR’ (why we are still MIR’) explains why the group still uses the name MIR and their current platform. ‘Entrevista realizado por CEDEMA’ (long interview carried out by CEDEMA (Armed Movements Documentation Centre) also gives a good overview of the history and what they are up to today. There is another site about the same group: http://mir-chile.cl/. Unfortunately most of the links are not working. There is a 2003 interview with Andrés Pascal Allende, and a 2000 article by Andrés Pascal Allende. Also a 2007 interview with Hernán Aguilo. Finally In English some memories of the young Miguel Enriquez by Marcelo Ferrada Nodi. In addition to Italy, the two countries from which the early Big Flame developed the greatest political lessons were Chile and Portugal. Two of its earliest pamphlets were devoted to these countries. The issues which Big Flame emphasised in them were different from those highlighted by the rest of the revolutionary left in Britain – “what was needed was a revolutionary party with the right programme”. Instead Big Fame focussed on the positive things which happened for a brief time in both countries. Developments that can be best viewed through the phrase “Popular Power”. Chile 1970-73 and Portugal 1975 were seen as key moments in the struggles of the working class alongside such other as Russia 1917, Italy 1921 and Spain and France 1936. The pamphlet Chile Si! was published in 1974. The bulk of it is devoted to the period between the election of the Unidad Popular (Popular Unity) Government in September 1970 to the military coup in September 1973. There are short sections on the period since the coup and on the group Movimiento de Izquierda Revolucionaria (Revolutionary Left Movement) [MIR], which I will discuss in a separate post (see Movimento de Izquierda Revolucionara [MIR]). An article from Lotta Continua “The Chilean Lesson” from February 1974 was reprinted. During 1970-73 the actions of Popular Unity set in motion a mass struggle in which various forms of direct democracy were created as people gained the confidence to do things for themselves. There were occupations of industry and land, and after taking control of production, this was followed by distribution and transport. The mechanisms were the Cordones Industriales (Industrial Assemblies) and the Comando Comunal (Area Assemblies). 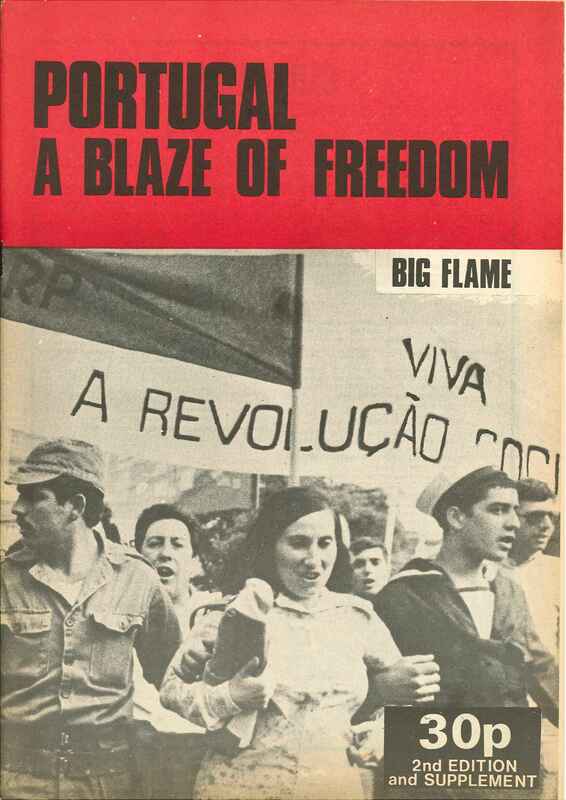 The pamphlet Portugal A Blaze of Freedom was published in 1975. It looks at developments since the military coup which overthrew fascism in April 1974. As in Chile, there was a pattern of occupations, strikes, Factory Commissions, Agricultural Co-ops, Neighbourhood Committees, etc. Attention is given to the role of the Movimento das Forces Armadas (Armed Forces Movement) [MFA]. While divisions within the MFA were recognised, it was described as in many ways “the party of the working class”. This was because the Portuguese Communist Party was one of the “most Stalinist” and a “break on the development of working class power” and all the revolutionary parties had no roots in the country prior to 1974. Big Flame members were later to acknowledge that they had been too optimistic about the MFA. After the pamphlet was published, the developments Big Flame championed came to an abrupt end. In September 1975 moderates gained control of the MFA. In November the same year they seized control of the country (the “cold coup”), on the basis that they were responding to a Communist Party attempted coup. Militants from groups like the Partido Revolucionário do Proletariado (Revolutionary Party of the Proletariat) [PRP] were arrested, and the mechanisms of popular power disbanded. Otelo Saravaria de Carvalho, one of the leaders of the radical elements in the MFA stood as the left candidate in the Presidential election in 1976 and came second with 16.2% of the vote (four years later he got only 1.5%). In 1985 he was arrested a charged with being the leader of a terrorist organisation. He received a 15 year sentence, before being granted an amnesty.